This special issue of The Link was meant to take a look at the war in Afghanistan as it drew to a close in June 2011. Things didn’t work out as we planned. 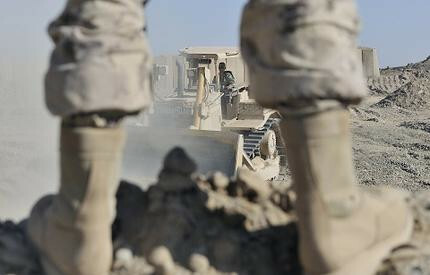 The Canadian government has pledged to keep troops in Afghanistan until 2014. A war that has lasted almost a decade, costing billions of dollars and immeasurable amounts of blood on both sides, will continue to have a Canadian presence. Our country will continue to pay in wealth and in lives. This insert is meant to take a look at costs of the war on a personal level. From the bedrooms of soldiers killed thousands of miles from home, to an Afghani woman who was able to journey back to Kabul almost two decades after she left, the war in Afghanistan leaves indelible marks on everyone associated with it. Canadians continue to ask the same question—is this worth it? Is it Canada’s place to force ideals about human rights on a foreign country? At what point have we done enough for our allies who will remain? Are our brothers, sisters, fathers and mothers fighting and dying for their country, or for nothing? These are just a few of the things we ask ourselves, as Canada continues to fight its longest war.